Author(s) Bos, Joppe W.; Lenstra, Arjen K.
Peter L. Montgomery has made significant contributions to computational number theory, introducing many basic tools such as Montgomery multiplication, Montgomery simultaneous inversion, Montgomery curves, and the Montgomery ladder. 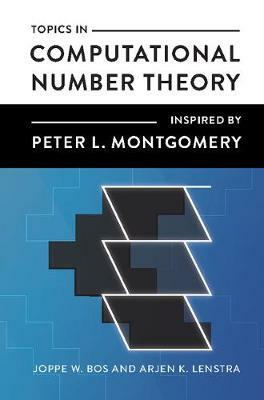 This book features state-of-the-art research in computational number theory related to Montgomery's work and its impact on computational efficiency and cryptography. Topics cover a wide range of topics such as Montgomery multiplication for both hardware and software implementations; Montgomery curves and twisted Edwards curves as proposed in the latest standards for elliptic curve cryptography; and cryptographic pairings. This book provides a comprehensive overview of integer factorization techniques, including dedicated chapters on polynomial selection, the block Lanczos method, and the FFT extension for algebraic-group factorization algorithms. Graduate students and researchers in applied number theory and cryptography will benefit from this survey of Montgomery's work.